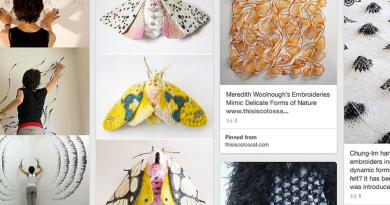 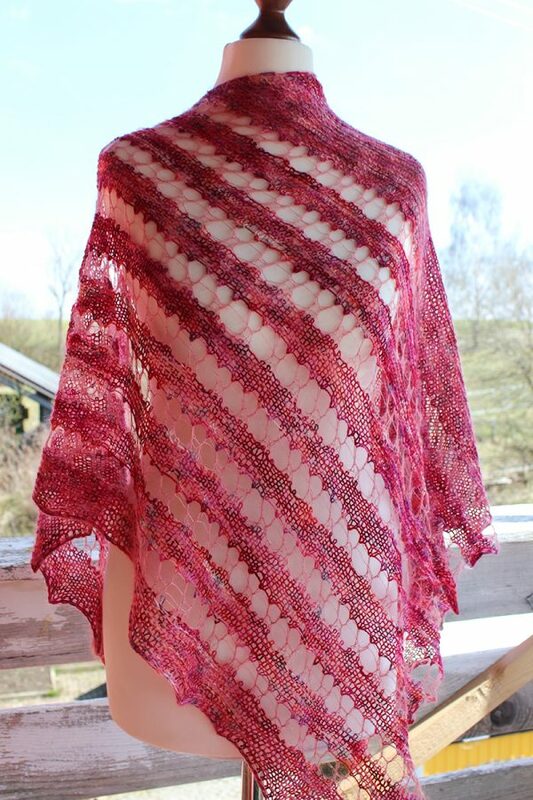 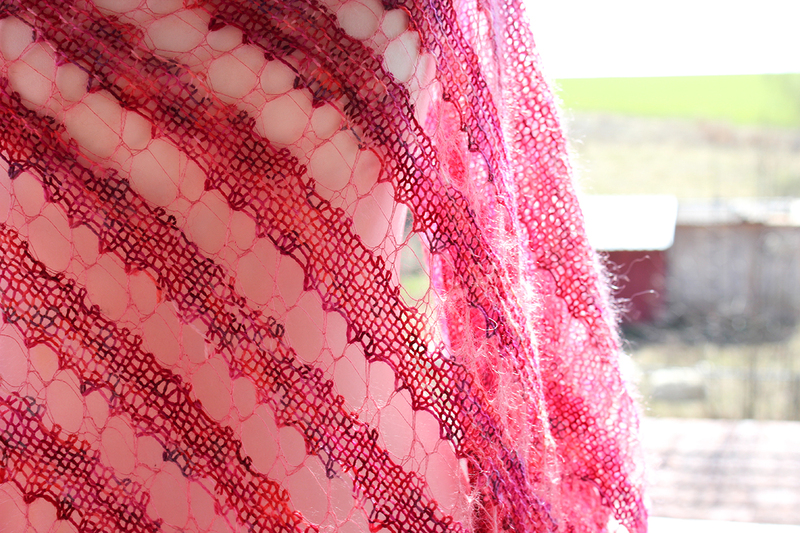 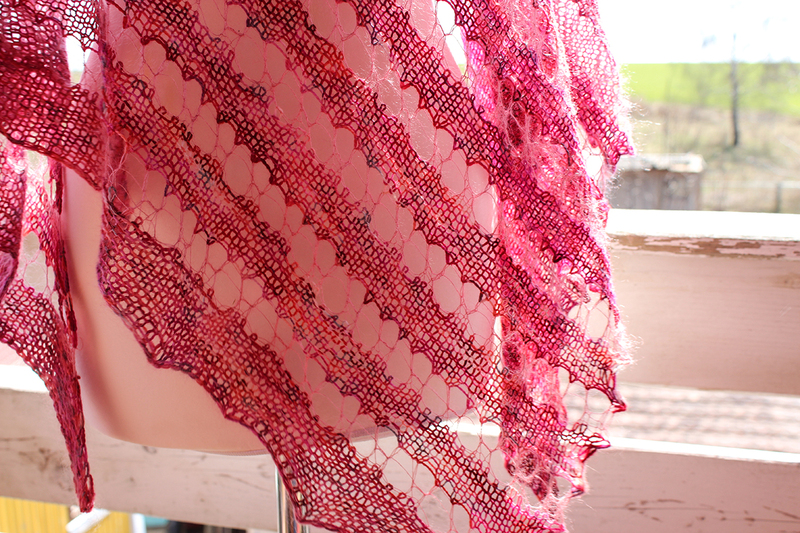 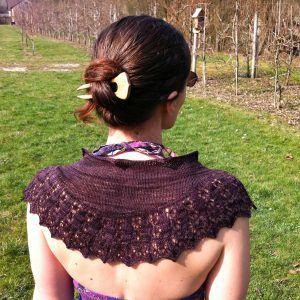 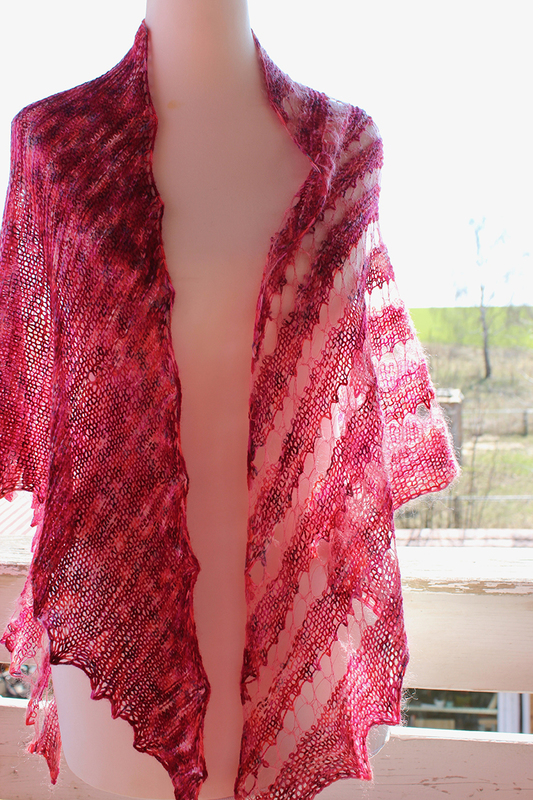 Love Pink is a shawl knitting pattern for all people who love lace and texture but don’t like knitting from charts. 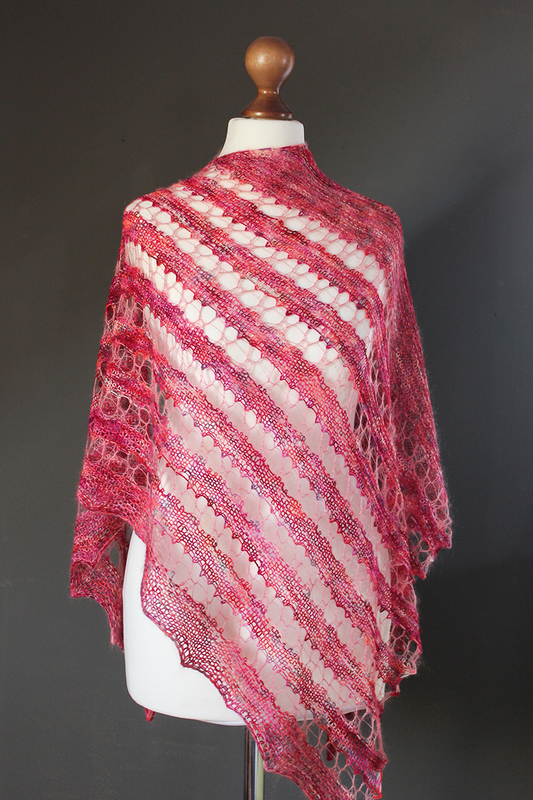 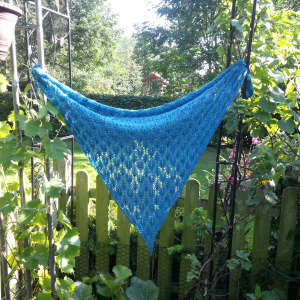 This shawl is a triangle worked sideways with increases every other round worked on garter stitch base, featuring two different yarn textures and weights, with easy, airy lace segments and some mindless garter stitch TV knitting in between. 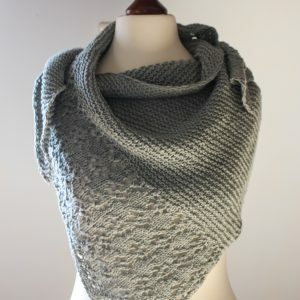 Size is completely adjustable. 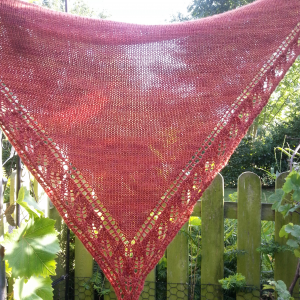 Sample shown measures 31 x 75 in (80 x 190 cm) after blocking.